The United MileagePlus® Club Business Card is one of Chase’s most generous credit cards. In exchange for a hefty $450 annual fee, it offers complimentary membership in United Airlines’ coveted United Club airport lounge program. As long as you remain a cardholder in good standing, you enjoy access to hundreds of United Club and Star Alliance partner airport lounges worldwide. According to United, this benefit alone is worth up to $550. If you’re already a United Club member, you’ll receive a prorated refund when your account is approved. The United MileagePlus Club Business Card has plenty of additional benefits for discerning business travelers. Premier Access travel services ensure white-glove airport service at every juncture, World of Hyatt Discoverist status boosts points earned on every Hyatt stay, and Hertz President’s Circle status increases your chances of getting the rental car of your dreams at a reasonable price. Plus, you never pay foreign transaction fees or fees for additional employee cards. On top of this, United MileagePlus Club Business has a fairly generous rewards program that offers an above-average return on all spending – especially United airfare. If you regularly fly United and like the sound of all these extras, United MileagePlus Club Business Card is worth a closer look. Here’s what you need to know about its ups, downs, and overall suitability. You receive a $100 statement credit when you open your account and make your first purchase in any amount. There’s no minimum spending threshold to hit. This card’s paramount benefit is complimentary United Club membership. As long as your account remains open and in good standing, you enjoy complimentary access to any United Club location and participating Star Alliance airport lounge – hundreds of individual lounges in all. Depending on the lounge, you can look forward to complimentary snacks, light meals, beverages, WiFi, business services, and even showers and spa facilities. If you have authorized card users, they can accompany you into any United Club or Star Alliance lounge at no additional charge. And, if you’re already a United Club member, you can look forward to reimbursement of any dues paid on a prorated basis once your application is approved. All told, the United Club benefit is worth $550 annually – $100 more than the card’s $450 annual fee. United MileagePlus Club Business Card earns unlimited 2 MileagePlus miles per $1 spent on United Airlines airfare and unlimited 1.5 miles per $1 spent on all other purchases. Miles never expire as long as your account remains open and in good standing, and there are no other restrictions or caps on mileage earnings. Once you hit 12,500 miles, you can redeem for award airfare with no blackout dates, close-in penalties, seat restrictions, or other obstacles to unfettered enjoyment. A 12,500-mile redemption is good for a one-way economy seat anywhere in the continental U.S. and Canada. You generally need 25,000 miles to redeem for a round-trip economy flight anywhere in the continental U.S. and Canada. Business- and first-class one-ways also start at 25,000 miles, but can cost considerably more. Priority Boarding: Cardholders enjoy priority boarding on all ticketed flights. This entitles you to board before the general group, even if you’re seated in coach. Free First and Second Checked Bag: You get a free first and second checked bag on all ticketed United flights. So does your traveling companion (limit one). When used to check four bags total on round-trip flights, this benefit is worth $240. Luxury Hotel & Resort Collection Benefits: United MileagePlus Club Business Card is a great “in” with the Luxury Hotel & Resort Collection, a loose affiliation of more than 900 distinctive hotel and resort properties scattered around the world. As a cardholder, you’re entitled to special discounts and benefits at these properties, including free breakfast, extended check-in/check-out hours, and complimentary room upgrades where available. Premier Access: As a cardholder, you’re entitled to Premier Access service whenever you travel on United and United Express flights (no codeshare flights, unfortunately). So are any ticketed companions traveling with you, even if they’re not authorized users. Premier Access’ benefits include security fast-track, priority baggage handling, and designated check-in lines for faster service at the ticket counter. Hyatt Discoverist Status: Cardholders enjoy complimentary Discoverist status, part of the World of Hyatt loyalty program. Discoverist status benefits include a 10% boost on points earned at Hyatt hotels, complimentary room upgrades where available, premium Internet access at no charge, late check-out, and more. Hertz President’s Circle Status: Cardholders also enjoy complimentary Hertz President’s Circle status. This coveted loyalty tier includes a 25% bonus on points earned on Hertz car rentals, member-exclusive offers and discounts, and complimentary category upgrades where available. Inside Access From Chase: This complimentary fringe benefit offers access to exclusive, once-in-a-lifetime events, such as celebrity dinners, celebrity meet-and-greets, VIP tickets to popular shows, and much more. 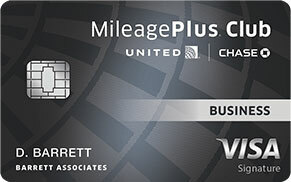 United MileagePlus Club Business Card also comes with an impressive lineup of value-added benefits backed by Visa. The most noteworthy include complimentary rental car insurance, complimentary trip cancellation and interruption insurance, 24/7 concierge service for travelers, coverage for delayed and lost bags, purchase protection on select purchases paid in full with the card, and more. The annual fee is $450. There is no foreign transaction fee or fee for additional employee (authorized user) cards. Balance transfers cost the greater of $5 or 5%. Cash advances cost the greater of $15 or 5%. Late and returned payments cost up to $39. United MileagePlus Club Business Card requires excellent credit. Complimentary United Club Membership in Perpetuity. The United MileagePlus Club Business Card offers complimentary, permanent United Club membership for as long as your account remains open and in good standing. Authorized users get to ride on the primary’s coattails, though they don’t get separate United Club memberships of their own. According to United, this benefit is worth up to $550 per year. If you regularly fly United for business and often find yourself in airports with United Club or Star Alliance lounges, it’s hard to argue that this isn’t a good deal. Excellent Airport and In-Flight Benefits. This card offers plenty more for United flyers. The free checked bag benefit is worth up to $240 per round-trip flight when used on four checked bags, the maximum allowed. If you’re in a hurry, Premier Access shaves serious time off your journey through the airport, and priority boarding ensures you get on your flights before the general boarding crunch. 1.5x Miles on All Non-United Spending. The United MileagePlus Club Business Card earns unlimited 1.5 MileagePlus miles per $1 spent on everything, with no sneaky restrictions or exclusions. This is 50% better than the standard return on spending for business travel cards – a difference that really adds up over time. Of course, United spending does even better: 2 miles per $1 spent on eligible purchases. If you’re a loyal United flyer who needs a business travel card that’s also great for general spending, this card should make your short list. Nice Benefits at Exclusive Hotels and Resorts. United MileagePlus Club Business Card is great for business travelers who like to stay in style. It offers potentially valuable perks at more than 900 hotels and resorts in the Luxury Hotel & Resort Collection, a group of high-end hospitality providers with locations around the world. You can look forward to free breakfast, extended check-out hours, discounted spa services, and complimentary room upgrades (pending availability), among other luxuries. Complimentary World of Hyatt Discoverist Status. Even if you don’t make it to any of the Luxury Hotel & Resort Collection properties, you can take advantage of complimentary World of Hyatt Discoverist status when you open your United MileagePlus Club Business Card account. Discoverists enjoy 10% faster points earning on Hyatt stays, complimentary room upgrades whenever available, premium Internet access, and more. If you often stay at Hyatt hotels and resorts for leisure, check out our review of The World of Hyatt Credit Card from Chase. Exclusive Benefits for Frequent Hertz Customers. This card comes with complimentary Hertz President’s Circle status, though you do have to formally apply to enjoy the benefits. It’s hard to argue against doing so – President’s Circle members get a 25% boost on points earned on car rentals, category upgrades when available, and other sweet benefits. Easily Attainable Sign-Up Bonus. If you’re looking for a great sign-up bonus, United MileagePlus Club Business Card isn’t your best bet. But that doesn’t mean that this card’s $100 sign-up bonus isn’t worth pursuing – especially because it requires just a single purchase after opening your account. No Blackout Dates, Mileage Expiration, or Close-In Penalties. United is pretty lenient when it comes to award travel. Your miles never expire. You never have to worry about blackout dates. And you’re never charged close-in travel date penalties when you book last-minute award flights. Plus, seat restrictions aren’t a thing here. If there’s room on your preferred flight, you can almost certainly redeem your miles for a free ticket. No Foreign Transaction Fee. United MileagePlus Club Business has no foreign transaction fee. That’s a key advantage for business owners and executives who regularly travel overseas on business. Some competing business cards charge up to 3% on foreign transactions – a hefty tax that more than offsets any rewards earned on international spending. $450 Annual Fee. The United MileagePlus Club Business Card has a $450 annual fee. If you don’t fly United often and don’t regularly visit United Club lounges, you’re unlikely to get your money’s worth out of this card. You’d be better served by a cheaper business travel card without an exclusive airport lounge benefit, such as CitiBusiness AAdvantage Platinum Select World Mastercard or Capital One Spark Miles for Business. 2x Miles Only Applies to United Airfare. If maximizing your return on spending is a top priority, there are better business credit cards. Whereas United MileagePlus Club Business earns 2x miles on United spending only, some cards – including Capital One Spark Miles for Business – earn 2x miles across the board. Others earn even higher rates of return in select categories. For instance, the Chase Ink Business Preferred Credit Card earns 3x points on dining and travel spending, while The Business Platinum Card from American Express earns 5x points on travel booked through the American Express Travel portal. Limited Redemption Options for Non-United Flyers. MileagePlus miles are only useful when they’re redeemed for award travel. If you’re looking for a card that lets you redeem on a wide range of travel and non-travel items, keep looking. 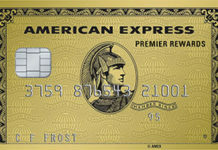 Exclusive business credit cards with expansive redemption options include Business Rewards Gold from American Express and the Ink Business Cash Credit Card. No Companion Certificates or Anniversary Awards. Unlike many business travel cards, United MileagePlus Club Card offers no companion certificates or anniversary mileage bonuses tied to cardholder loyalty or spending thresholds. If you want to bring a colleague or friend along on business or leisure trips, this certainly doesn’t help. Consider the Southwest Rapid Rewards Premier Business Card, which has a generous companion benefit for heavy spenders and a nice annual points boost simply for renewing your card. No Security Fast-Track Credit. If you travel internationally, you’ll be disappointed to learn that this card doesn’t offer any reimbursements for Global Entry, a fast-track service that gets you through airport border controls quickly and painlessly. Most other high-end business travel credit cards offer this one-time $100 credit. Charges Penalty Interest. The United MileagePlus Club Business Card charges penalty interest at 29.99% APR and keeps that rate in effect indefinitely after just one lapse. If you occasionally miss statement due dates due to unpredictable cash flow or unexpected business expenses, this could cost you. The United MileagePlus® Club Business Card‘s signature benefit – complimentary United Club membership in perpetuity for the primary cardholder – is worth up to $550 per year. And, just for fun, it includes complimentary access for authorized users traveling with the primary. Add into the mix the $100 sign-up bonus, Hyatt and Hertz loyalty programs, various and sundry hotel and resort benefits, white-glove airport service, and 1.5x baseline earning rate, and we’re looking at a seriously valuable card with value-added benefits that more than offset the $450 annual fee. Then again, this card doesn’t pay for itself. If you don’t take full advantage of its benefits, you’re probably not doing yourself any favors by keeping it in your wallet. United MileagePlus Club Business Card is the best credit card on the market for committed United business travelers who like to jet in style. For everyone else, it might be too much of a good thing. The United MileagePlus® Club Business Card is ideal for frequent business travelers who remain loyal to United Airlines and regularly travel through airports with United Club or partner lounge locations. It’s doubly rewarding for cardholders who stay at Hyatt or Luxury Hotel & Resort Collection properties on a regular basis. On the other hand, it’s probably too much for those who don’t travel heavily for business and those who prefer a broader range of rewards and redemption options. Major benefits include complimentary United Club membership as long as your account remains open and in good standing, excellent airport benefits, no foreign transaction fees, 1.5x miles on all purchases, an easily attainable $100 sign-up bonus, generous hotel benefits (Hyatt and Luxury Hotel & Resort Collection), Hertz President’s Club status, and lenient redemption terms. Key drawbacks include the $450 annual fee, the narrow 2x miles category, limited redemption options for non-United flyers, no companion certificates or anniversary awards, no security fast-track reimbursements, and a high penalty APR. Overall, this is an excellent business credit card for high-flying United travelers who like to stand out from the crowd (and enjoy peace and quiet at the airport).